Authored by broulik on Aug 22 2018, 11:49 AM. Looks good to me. 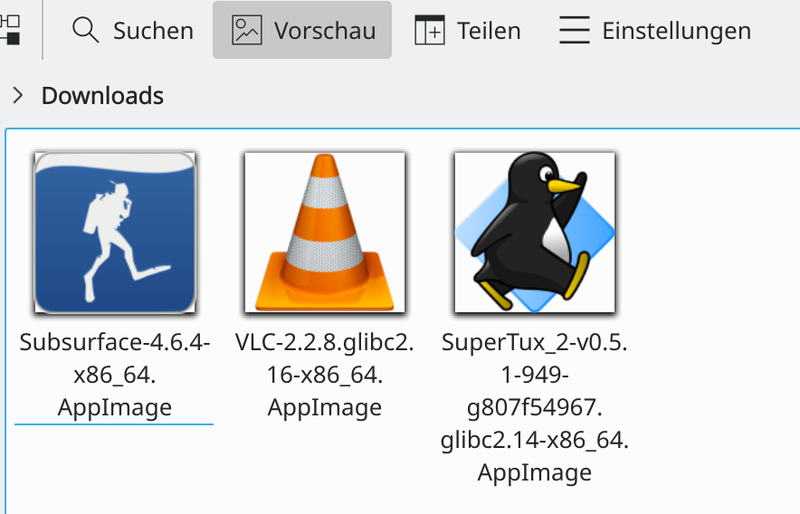 I'm not a KDE expert and can't tell much about that, but the AppImage part is perfectly fine. At some point, the temporary file should be replaced by some in-memory file buffer. See https://github.com/AppImage/libappimage/issues/1 for reference. Does this patch set the thumbnail size? Does this need to be turned on somehow, or should it Just Work? @michaeltunnell that's a great idea to generally improve the UX with AppImages or, even better, all ELF files. 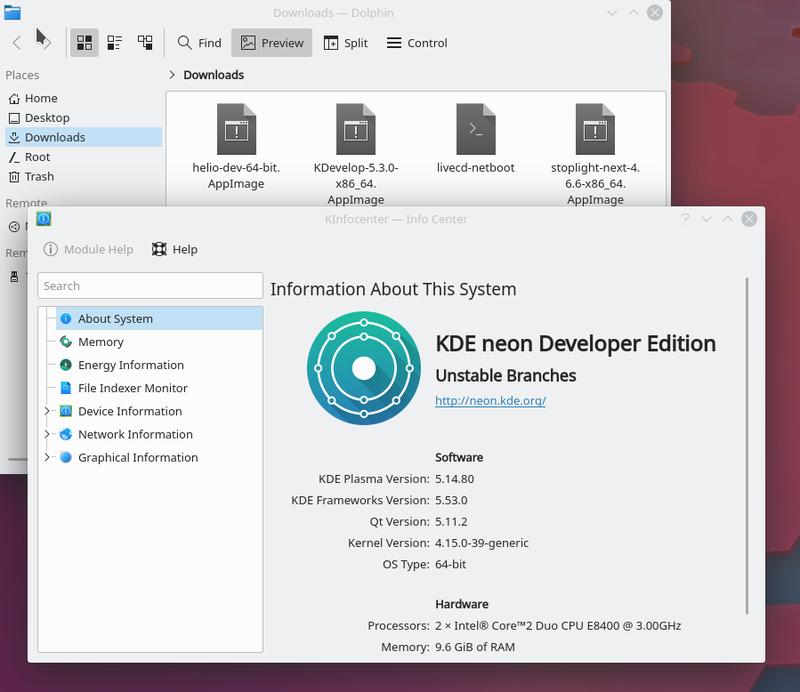 Then, one of the issues https://github.com/TheAssassin/AppImageLauncher tries to solve is already solved upstream, at least for KDE. Installed sudo apt install kio-extras (4:18.08.3+p18.04+git20181130.0153-0). You should ask on Neon request channels.